This week, Hassan Rouhani will attend the United Nations General Assembly for the first time as president of Iran. Rouhani’s election was a hopeful moment for many Iranians, and the recent release of Nasrin Sotoudeh and at least a dozen other political prisoners is cause for celebration, particularly for their families. On the diplomatic front, the bellicose rhetoric from the Obama administration has recently been punctuated by renewed intimations of dialogue, though so far we still haven’t seen any concrete actions or initiatives from Washington. While we welcome these positive developments, Havaar believes grassroots pressure pushing for an end to threats of war, the ongoing sanctions that continue to harm average Iranians, and state repression are needed today more than ever. Please join Havaar this Tuesday at the UN as we make the following calls to action to the presidents and governments of the United States and Iran. Will you lift the sanctions and stop collectively punishing the Iranian people, who are suffering terribly? Will you stop saying “all options are on the table” and declare that there will be no military intervention in Iran? Will you lead the global nuclear disarmament movement by taking major unilateral steps to eliminate the U.S. arsenal of nuclear weapons? Will you promote peace in the Middle East by supporting a Nuclear-Weapon-Free Zone in the region? Will you put the real needs of the American people and the environment ahead of geopolitics? Will you direct your efforts towards releasing political prisoners, including religious and ethnic minorities? Will our trade unions live? Will your government stop repression of strikes and independent workers organizations? Will restrictions on journalists be removed? Will censorship be lifted? Will you push for social justice for women? Will women’s equal access to all fields of higher education be restored? Will you initiate anti-poverty and job creation programs? We look forward to seeing many of you in Manhattan this Tuesday! Please be sure to forward this announcement widely and respond on our Facebook event page if you will be attending. A Havaar forum hosted by the Center for Place, Culture and Politics. 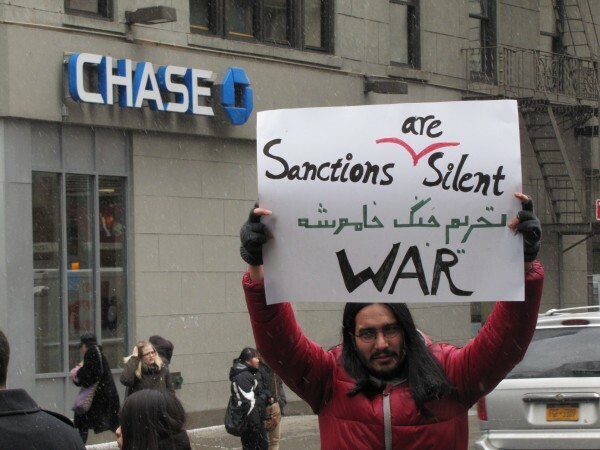 Sanctions are still presented in mainstream political discussion as a peaceful alternative to military intervention. But the experience of Iraqis, whose society was devastated by over ten years of harsh economic sanctions, shows us that sanctions against countries that defy Washington are a form of collective punishment used to augment the effects of war and/or lay the groundwork for war. While sanctions against Iran have yet to reach the levels and effects experienced in Iraq, there is much to be learned by placing these two different cases in a common frame. How are sanctions used by the US as part of its efforts to dominate the Middle East? What are the effects they have on everyday life and on social movements? 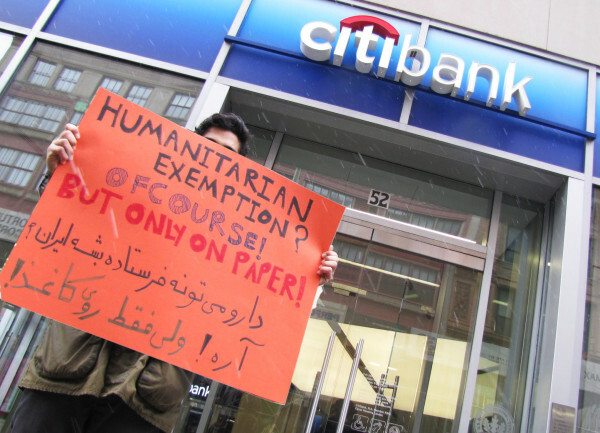 And how have activists attempted to organize transnational solidarity to oppose sanctions? This event will look at previous campaigns against sanctions in Iraq and help launch a new campaign against the medical shortages caused by sanctions against Iran. Denis J. Halliday worked for the UN for 34 years – first as junior officer in Iran (1964-66), and finally as UN Assistant Secretary-General 1994-98. He volunteered to be the United Nations Humanitarian Coordinator in Iraq in 1997 and remained in his post until 1998 when he resigned in protest of the sanctions. Hadi Kahalzadeh served as an economist for Iran’s Social Security Organization from 2003 to 2011. He was a member of the Iranian Students Office for Consolidating Unity (Daftar-e Tahkim-e Vahdat), the only democratically elected student body across the country. After graduating, he joined the progressive political party, the Iranian Alumni Organization, which was a strong ally of student, women’s rights, and labor movements. In 2006, Hadi was elected as a member of board of directors of Iran Parties House (IPH). He currently serves as a visiting scholar at the department of political science at Valdosta State University in Georgia. Bitta Mostofi currently is a nonprofit, immigrant rights attorney. She has also worked as a civil rights attorney and served on the board of directors of the Council on American Islamic Relations. Bitta has participated in anti-war and anti-sanctions campaigns, and was a co-coordinator for the Voices in the Wilderness; Iraq Peace Team from 2002-2003. In recent years Bitta has co-founded and worked with Where is my Vote, New York, which formed in the after math of the highly disputed 2009 Iranian presidential elections. WIMV-NY strives to raise the level of international solidarity with the citizens of Iran in their movement towards social justice and democratic change and to speak out against the Iranian state’s human rights violations. Sina is a founding member of Havaar: Iranian Initiative Against War, Sanctions and State Repression and an organizer with Havaar’s campaign to alleviate sanctions-related medical shortages in Iran. 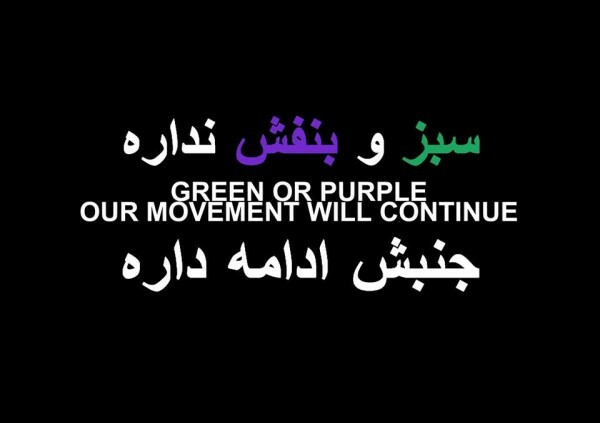 Co-sponsored by Havaar: Iranian Initiative Against War, Sanctions and State Repression, Raha Iranian Feminist Collective, the Campaign for Peace and Democracy and the War Resisters League. Please RSVP to our event posting on Facebook and help us spread the word. Sign the Petition Now by Clicking Here! Sanctions against Iran are often presented as a humane alternative to war, but in fact they have caused massive economic hardship and a social crisis in Iranian society that has reached life-threatening proportions. The U.S.-led sanctions regime is strangling the Iranian people, cutting off trade relations, financial transactions, and access to vital goods. The results have been stark and devastating: currency devaluation, skyrocketing inflation, factory closures, layoffs, unpaid wages, and now a major healthcare crisis. Without access to the international banking system, Iranians are finding it increasingly difficult to import life-saving medicines or the raw materials for many domestically-made drugs—a situation which a January 8, 2013 Associated Press report deemed “a sign of the domino effect of sanctions on everyday life.” The Office of Foreign Assets Control (OFAC), the U.S. agency that regulates sanctions, has officially exempted medicine-related transactions as a humanitarian gesture. However, at this point few banks are willing to do business with Iranian pharmaceutical importers. Shortages and steep price increases of drugs used to treat cancer, hemophilia, multiple sclerosis and other ailments have put hundreds of thousands at risk and resulted in an unknown but increasing number of deaths. This amounts to collective punishment of an entire population. Sanctions and the constant threat of military intervention by the U.S. and Israel target the very people who have already been struggling to live under a corrupt government that has mismanaged the economy and thwarted basic democratic rights. The resulting state of emergency in Iran has only strengthened the hand of government officials who seek to crush popular movements inside the country under the pretext of defending national security. Havaar continues to speak out against this silent war, and today we are announcing an effort to pressure international banking institutions to process financial transactions related to the importation of medicine so that Iranians can acquire life-saving drugs. We are asking individuals and organizations to join us by signing our petition addressed to CEOs of major banks. This petition is just the first step in a broader campaign against the entire sanctions regime: rather than being an alternative to war, sanctions wreak havoc on the life chances of entire populations and are often used to pave the way for military intervention, as our brothers and sisters in Iraq have experienced firsthand. 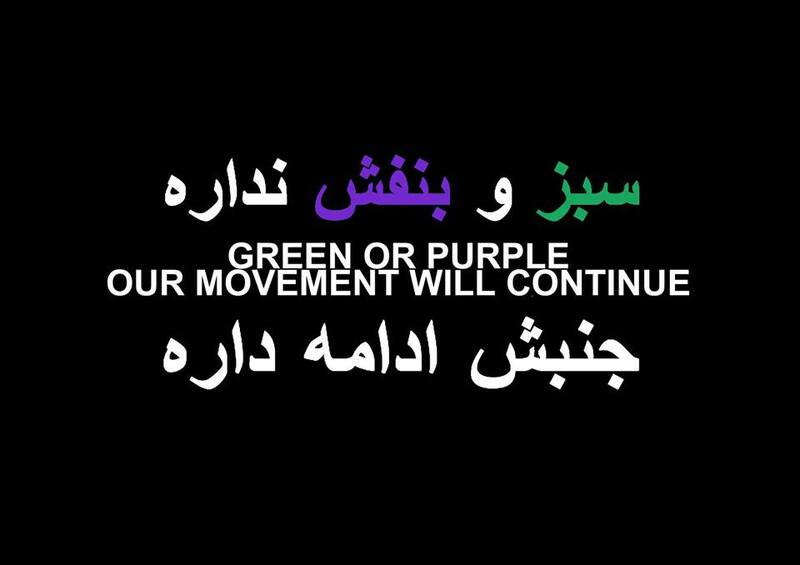 Havaar’s guiding principle is to stand in solidarity with the Iranian people. Therefore, we will continue to actively oppose threats of military attack from the U.S. and Israel—as well as other forms of external intervention in Iran—and the repression that the Iranian government continues to direct against its own people. Please sign the petition today, share it on social networks, and be sure to follow Havaar on Facebook for future updates. 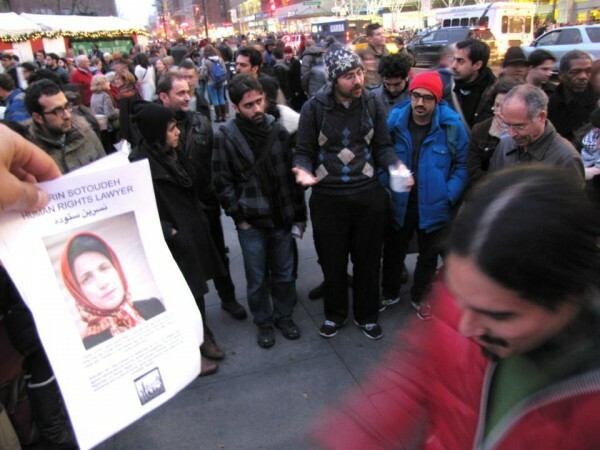 December 20, 2012, New York—Yesterday Iranian artist Sanaz Sohrabi—with the co-sponsorship and help of Havaar and Sanctioned Life—brought a unique performance project to the streets of Manhattan. Iranian civilians are increasingly feeling the effects of a strict U.S.-led sanctions regime that has severely curtailed economic activity in Iran (the economic mismanagement of the Iranian government is exacerbating the situation). One of the most devastating effects is a lack of access to crucial medicines. Patients suffering from cancer, hemophilia, multiple sclerosis, and other ailments which require drug regimens in order to be treated are finding those medicines increasingly unavailable, either due to shortages or to large price increases that make them unaffordable. The result has been significant suffering, including the recent death of Manouchehr Esmaili, a 15-year-old boy with hemophilia who passed away last month when his parents were unable to find the medicine he required. 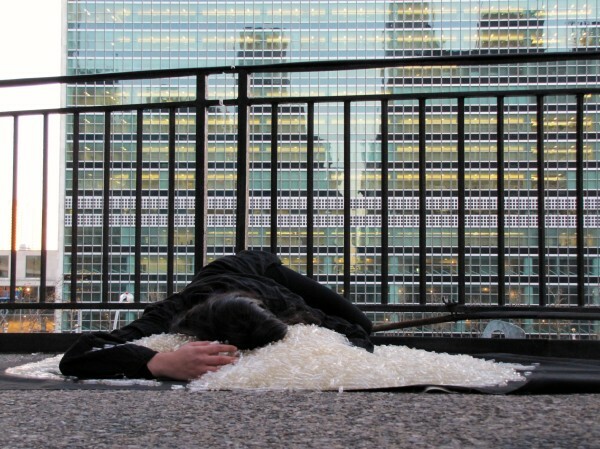 To communicate the severity of this situation, Sohrabi engaged in a performative art piece which involved filling thousands of transparent pill capsules with messages from actual Iranians describing how sanctions have had an impact on their health or the health of loved ones. 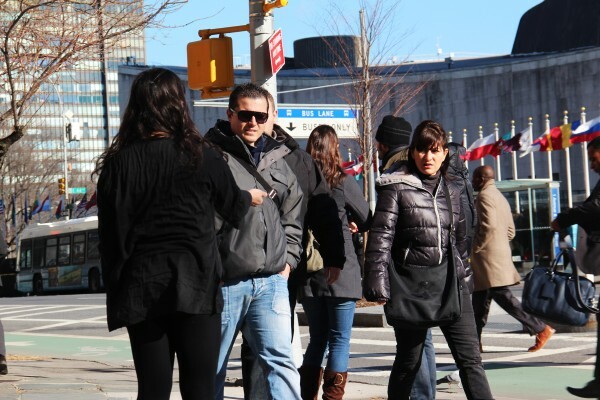 These capsules were then spread out on the streets near the United Nations and also handed out to passersby who were encouraged to read the messages inside. Said one Iranian whose words were placed inside the capsules: “I am a patient with a liver transplant. To sustain a liver transplant I need to use particular drugs. Unfortunately like all others I am having problems acquiring them.” There are far too many similar situations all over Iran. Sohrabi and members of Havaar and Sanctioned Life are available to discuss the project and the sanctions situation in Iran. 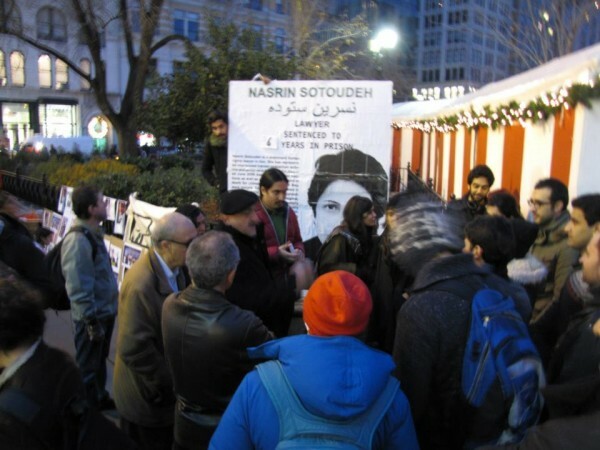 On October 17, Iranian lawyer Nasrin Sotoudeh began an indefinite hunger strike. Her simple request, for which she was prepared to give her life, was for the government to allow her family the right to visit her in prison and for her 12 year old daughter to be able to leave the country. After 49 days, the authorities relented, and she ended her fast on December 4th. For people of conscience everywhere, Nasrin serves as a powerful example. A nonviolent critic of Iranian authorities and a tireless activist on behalf of children and victims of abuse, she was arrested and sentenced to 6 years in prison for her writings and statements. Havaar members gathered in Union Square shortly after Nasrin ended her hunger strike to spread word of her struggle and stand in solidarity. In the same vein, the members came to raise awareness about the impact that American threats of war and continuing economic sanctions are having on activists like Nasrin and Iranians in general. Contrary to the stated logic of the Obama administration, sanctions do little to empower Iranians to stand up for their rights. The threat of war, similarly, has created a state of emergency in the country and an environment where criticizing Iranian state repression is far more perilous. For a number of New Yorkers, whether Iranian or not, seeing Nasrin’s picture and her message on display was an important chance to engage, spread awareness and build a solidarity rooted in the genuine common struggle of American and Iranian people for a more just, representative and humane political order. What? Come to protest Israeli crimes in Gaza as Israel continues to attack Gaza, killing innocent people and destroying infrastructure. Havaar’s September 25th protests and their aftermath have left us pretty busy of late, so we’re a bit behind the times here, posting about an event from a couple of weeks ago. 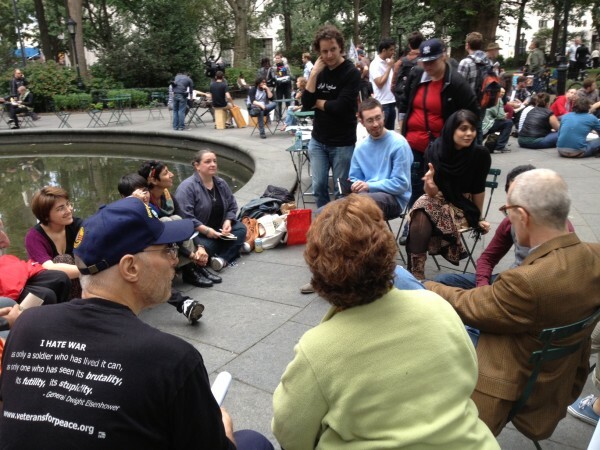 But we wanted to give a quick “report back” on the workshop Havaar held at Free University Week in Manhattan’s Madison Square Park on September 20th. Havaar table at the Free University. Around 25 people showed up to participate in the group conversation, while others stopped by a table Havaar set up to take literature and discuss Iran. A member of Havaar facilitated the group discussion, but we were mainly interested to hear what others in the workshop wanted to talk about and learn. Among the main issues covered was a question that has been central to Havaar’s organizing—whether or not those of us who do peace movement work should be critical of the Islamic Republic of Iran while that country and its citizens are targeted by U.S. imperialism, through sanctions and the threat of military attack. Havaar’s position is that activists should do exactly that, but others in the workshop argued that it was wrong to be critical of Ahmadinejad, Khameini, and the Iranian government at this point. Rather some felt that the focus should be on opposing American imperialism because that ought to be the primary role of activists in the U.S., but also in part because Iran takes an anti-imperialist stance. 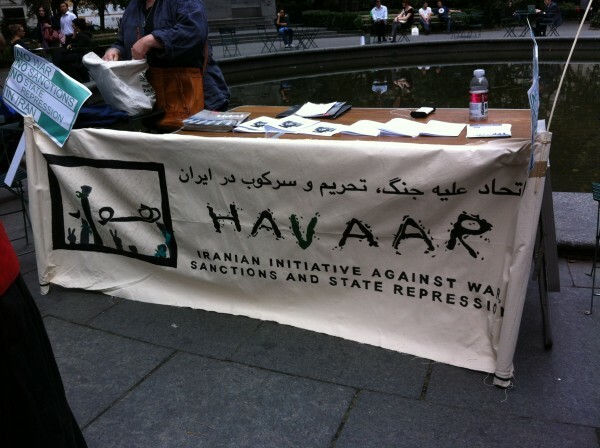 Havaar members argued that, while opposing U.S. imperialism, war, and sanctions is absolutely critical, the anti-imperialist rhetoric from Ahmadinejad and other Iranian leaders really is just rhetoric—about as meaningful as President Obama’s supposed concern for freedom and democracy in the Middle East. These are difficult issues, and there certainly were differences of opinion, but it was a good conversation and one which will hopefully continue in other forums. Discussion at the beginning of the workshop. The workshop also discussed ways to stand in solidarity with Iranians in the face of threats on multiple fronts, the effects sanctions have had on the ability of the Iranian government and average Iranians to perform normal international transactions, and the general situation in Iran, particularly the ways in which sanctions and government mismanagement have had a negative impact on day-to-day life. Members of Havaar stressed that, all too often, the discussion on Iran turns to state politics and rhetoric and lacks any real focus on the experiences and perspectives of average Iranians. The issue of prisoners of conscience in Iran was also touched on, given that Havaar calls for the release of political prisoners in Iran. One participant asked about prisoners of conscience in the United States, such as Bradley Manning, and a Havaar member wholeheartedly agreed with that concern and remarked that what we really need to be calling for is the release of political prisoners all over the world. The Free University is a terrific project, and Havaar looks forward to participating in similar educational events in the future. We are dealing with very complex questions and do not claim to have all of the answers, which makes open dialogues like this one all the more important. On September 25, 2012, Havaar was joined by The Illuminator crew and their cargo van to take their message against war, sanctions, and state repression onto the streets and public facades of New York. Projections happened at Union Square, around Washington Square Park, and on the facade of the historic Flatiron Building. Earlier in the day Havaar was joined by friends and allies for a demonstration in midtown New York against Ahmadinejad, Obama, and Netanyahu’s aggression towards the Iranian people. See photos from that demonstration.